Below are the technologies used by ICTFax for the Fax transmission. ICTFax supports G.711 faxing. ICTFax uses this low compression codec where the fax call is carried in a VoIP call encoded audio format. The reason that a codec such as G.711 must be used is because high compression codecs are optimized for human speech. Consequently, high compression codecs distort the fax tones and will cause FoIP calls to fail. In the absence of T.38 the fax is transmitted through G.711 Codec. ICTFax supports PDF File format for the transmission of fax in email to fax or fax to email. PDF is a file format that has captured all the elements of a printed document as an electronic image that you can view, navigate, print or forward to someone else. 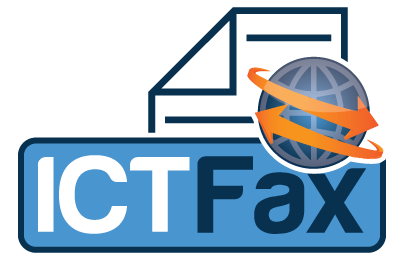 ICTFax supports TIFF (Tag Image File Format) for fax transmission. It is a common format for exchanging Raster graphics images between application programs, including those used for scanner images. A TIFF file can be identified as a file with a ".tiff" or ".tif" file name suffix.